Happy New Year, Lovelies! Are you getting stoked by the fact there are only 16 weeks until Apogaea?! It’s exciting but there is still much work to be done! Ignition is shaping up, and department leads and board members are working away to keep to task. One change to highlight is that we have a new secretary as of the January board meeting! All nine (9) board members and over 35 people total, many of which were Ignition members, were at Fusion Factory. It’s super to see such a well-attended board meeting at the first of the year. President, Kingpin, reminded the crowd that there were only 18 weeks until work weekend. He announced that Ignition is coming together and the wiki is being developed to be much more of a useful tool for Apo Board and Ignition members. As you may recall from the November Board Summary, I described how wiki’s are community developed sites that allow users to edit or add content. This wiki is used for archiving information like policies, procedures, best practices, historical info and contacts. 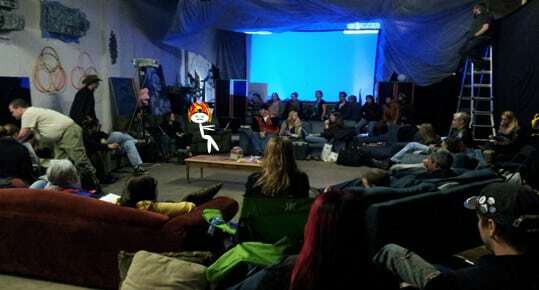 Vice President, April, eagerly announced that the dates for the Flame Effects workshop by Dave X (Fire Safety Manager for Burning Man) are set to be held at the Fusion Factory on May 4-5, 2013. Formal announcements will go out later this month. This workshop will likely draw interest from outside of Colorado, and how awesome to have it hosted right here in Denver! April also planted the idea of bringing Figment to Denver. This participatory and interactive art event embraces the 10 principles and is focused on transformative experiences through art. There are several cities holding the event and April envisions Figment being a great fit for our community. She has already been in contact with Figment to understand the planning timeline and logistics, and is connecting with members of our community interested in taking this on. If hearing about this is exciting and you think you might want to get involved, please feel free to contact with April. Treasurer, Steve, received unanimous board approval for two disbursements and introduced a helpful new tool that shows cash flow as spending is approved. I might as well mention the sweet fact that the final 2012 Financial Statement has been updated to reflect the full year and it has posted to the Financials page. Thanks to Steve for doing such an amazing job in his role as Treasurer! Duney Dan announced his resignation as Secretary due to the numerous commitments he has on his plate. There was a motion to elect MissAlicious as the new Secretary and the board unanimously approved. The board discussed the need to better define and clarify officer roles in writing and will start to work on this project. Board liaison of Communications/Telemetry, Koda, brought up the Online Communications Policy he put together, and how to get this document and other documented policies in front of Ignition members. It was questioned whether all Ignition members should be required to sign policy documents acknowledging receipt, and whether there is one place, possibly on the wiki, that could provide a forum for all the communications of policies. The idea of a welcome packet upon receiving an @apogaea.com email address also arose. The board will review the Online Communications Policy before a decision is made. Kingpin got all high-tech and provided a demo of Wrike, a web-based project management software. This will provide a useful way to transfer the ‘institutional’ knowledge gained over the past several years. It is an interactive and easily accessible task planner for all involved. Each task will have an owner, and all of Ignition will have access to comment on tasks. Though he wisely cautioned against the transition into using the software becoming an obstacle to immediate tasks, he envisions that this tool will be a working document for future years with modifications based upon experience. As you prolly already know, the volunteer database is an easy and useful online tool for managing the volunteers contact info and event shifts schedules etc. Bug Barbeque, lead for the database, reminded Ignition that he needs all data (including additional shifts and lead shifts) for departments no later than the end of February! New departments not already in the database need even more lead time. Starting this year, shifts will be tracked. A policy that is consistent across all departments will be developed to decipher when someone is a no-show, a ‘show’ but cannot perform due to sickness or impairment of some sort, and a straight-up flake. Yeah, we know who you are! muahaahaha! Pre-event volunteers still need to be incorporated into the database. The volunteer database details and internal communication procedures will be topics of discussion at the Ignition Retreat. The date for the Ignition Retreat is still TBD. The Ignition page is updated! Velzy, our Website Content Lead, has done the hard work of getting this year’s updated Ignition members listed on the site replete with pictures, email contact, and ‘job’ descriptions. There are still critical vacancies to be filled. If it’s not you, it might be someone you know who could be a perfect fit!! Word of mouth would be awesome peeps! April motioned for a new role to be created that would coordinate interviews and document the building of art projects funded by Apogaea. Through this process, the Art Documentation Lead could uncover the inspiration behind the art, show how the artists share skills, ideas, and passion, and what emerges when art is built collectively. Currently, our Photography Lead, Yana, intends to expand this role and is working on the how-to’s and is getting the process rolling. There has been ongoing discussion around removing the roles of Territorial Ambassadors and Regional Contacts from Ignition. Territorial Ambassadors used to sell physical tickets, which is not needed any longer, and there was originally only 1 Regional Rep, not 5. Kingpin motioned to eliminate the TA and RC category on Ignition, retain one Regional Contact/Rep as the BMorg Regional Lead, and offer all of them a role in the “Acculturation” Department, but it was tabled because it was agreed that in order for a vote, more specific language needs to be written. Kingpin will write up language to bring to the board for a vote. James announced the Art Fair dates, which will be held at the Fusion Factory, February 23rd -24th, 1:00pm-5:00pm. Calamity announced that the Burning Man Regional Summit is tentatively scheduled for April 4-7, 2013 in either Las Vegas or San Francisco. This event is a great way for regional leaders to share best practices and ideas that they can bring back for the improvement of regional events. Interestingly, in 2012, community members actually outnumbered regional representatives. Besides the $150 registration, travel expenses add up to approximately $500. 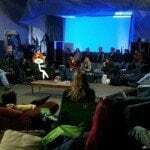 If you see yourself as a long term leader in the CO Burning Man community and can afford it, please contact [email protected] with a written paragraph about how you lead, how and why you are interested. BM reps then can nominate for you to attend. The Apo board is considering covering a portion of the expenses for a few of the Regional Reps to attend. April will develop a policy proposal for Apo covering these expenses to be reviewed and approved by the board. The idea of inviting a limited number Burning Man staff to Apogaea according to Regional Event Criteria has been stewing for awhile. It was discussed in more detail at this board meeting. The initial thought is that Apo would provide free tickets and these visitors would be responsible for all other costs, though there was talk of holding a fundraiser to help with funding as well. There will likely be a Town Hall before and after Apo to get feedback. Bobalicious will extend invitations to BM to start this process and will develop a proposal for the board to review. There was a motion to set aside four Apo tickets for this purpose, and it was unanimously approved by the board. Apogaea will have a new department, lead by Calamity Meg and a team of Regional BM Reps. As it is completely new, the department’s role and responsibilities are still being defined. At its foundation, as I mentioned in the December Board Summary, this department will be dedicated to educating and reminding the community of the BM principles and what distinguishes Apo from events like Sonic Bloom. In relation to hosting the BMorg staff, it was decided that the Acculturation Department would be responsible for hosting the four visiting BM staff should everything work out according to plan. Matt Stringer, the board liaison for tickets, announced that his team is researching Brown Paper Tickets and other vendor options regarding transferring money upon sale of tickets, rather than after the event. This practice would allow pre-event cash flow. He suggested that the tickets will be sold in waves and, as was wise in the past, that the ticket must match the ID. Name transfers would still be allowed through the ticketing system. It was decided the ticketing procedures would be voted on via email by the next meeting. Second Round Grant Cycle Open!